Do you think you may be pregnant? Not sure? Yes, no, maybe? Those early days are filled with hope, joy, panic, uncertainty … all the feelings. The uncertainty of not knowing can be a major source of stress. Do yourself a favor: Take a pregnancy test at home. Simply knowing for sure will bring you some peace of mind and allow you to start planning for a healthy future. At-home pregnancy tests are up to 99 percent accurate when they’re done properly and at the right time. They can be purchased at most grocery stores and pharmacies. Some are even available at discount stores, such as Dollar Tree. All at-home tests work by measuring the amount of HCG hormone in a woman’s urine. HCG levels increase as a pregnancy matures. You’ll get the most accurate results if you take the test five days or more after you ovulate. The closer you are to the date when your next period should start, the more accurate the results will be. If you take the test too soon, the HCG level may be too low to indicate pregnancy. Check the expiration date. Make sure the test has not expired. Follow the directions carefully. Each brand is slightly different. Read the directions and perform the test exactly as prescribed. Take the test first thing in the morning. The HCG hormone will be most concentrated if you test your urine when you first go to the bathroom in the morning. Wait for the test results. It can be difficult to wait the required amount of time for test results to be revealed. You may want to set a timer so you don’t check too soon. If you get a positive result on an at-home test, make an appointment with your health care provider as soon as possible. For most women, this first visit takes place between the eighth and tenth week of pregnancy. The sooner you see a health care provider, the sooner you can get prenatal care for you and your baby. When it comes to prenatal care, you have choices. These health care providers are experts in caring for pregnant women and their unborn babies, but each type of specialist has a different skill set. Certified nurse-midwives or CNMs are registered nurses who have advanced training in women’s health and maternity care. Along with female reproductive care, such as annual exams and Pap tests, CNMs offer prenatal, labor and postpartum care. CNMs usually treat women with uncomplicated pregnancies but, if they consult with an OB-GYN, they can treat women who have high-risk pregnancies. If you choose a CNM as your prenatal care provider, you may be able to deliver your baby at home, at a birth center or in a hospital. Ask your CNM where she delivers babies and tell her if you have a preference. Family practitioners are doctors who specialize in preventive health and medical care for people of all ages. Some family physicians deliver babies, but many do not. If you have a family physician, be sure to ask if he or she delivers babies. Also, they are not surgeons, so if a mother needs to deliver her baby by cesarean section, the family physician will call a surgeon to deliver the baby. If you select a certified nurse-midwife or an OB-GYN for your prenatal care, you can transfer to a family practitioner after your baby is born. The family practitioner can provide all primary care you and your family, including your new baby, need now and in the future. The abbreviation, OB-GYN, stands for obstetrics and gynecology. An obstetrician is a doctor who delivers babies. A gynecologist is a doctor who treats diseases of the female reproductive organs. OB-GYNs offer prenatal care, manage labor and delivery, and provide postpartum care for mothers. Roughly 85 percent of women receive prenatal care from OB-GYNs, according to the Centers for Disease Control and Prevention. If an OB-GYN delivers your baby, you will need to select a pediatrician, a family practitioner or a nurse practitioner to be your baby’s primary care provider after he or she is born. A doula is a woman trained to provide physical comfort and emotional support to expectant moms before, during and after childbirth. Doulas are not medical personnel, but they can provide information, help during labor and advocate for the mother. Some women hire doulas months before their babies are born. If you do this, you can expect the doula to spend time getting to know you, answering your questions about pregnancy and labor, and helping you create a birth plan. If you have a doula, she will stay with you during labor. She will help you change positions and use relaxation techniques to ease labor pains. Doulas may also support the new family at home during the postpartum period. Currently there is no standardized training or certification for doulas. Research studies show that having a doula present during labor can be associated with health benefits, such as shorter deliveries, fewer c-sections, less use of medications, increased breastfeeding and more satisfying birth experiences for mothers. The benefits vary, however, based on the doula’s training and skills, the cultural setting, and family support available to the mother among other factors. To read a study published in The Cochrane Library that concludes continuous support during childbirth is beneficial, click here. If you’re wondering whether you’re pregnant, you may be analyzing every signal your body is sending you. This easy-to-read list of pregnancy symptoms outlines eight common signs of early pregnancy. One tool that may be helpful to you is our directory of health care providers. 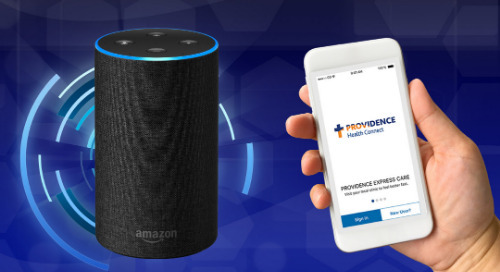 If you’re pregnant and need a health care provider, you can find a Providence provider or birthing center near you by going to our multistate directory. A new resource you may want to check out is an app for smartphones. Circle by Providence is an app designed specifically for expectant and new moms. From early pregnancy through your baby’s first year, it will give you current info from Providence experts. You can download Circle to your phone at no cost. Go to the App Store to download Circle by Providence for iPhone, or visit Google Play for Android devices. A regular gratitude practice can keep you physically and mentally healthier.